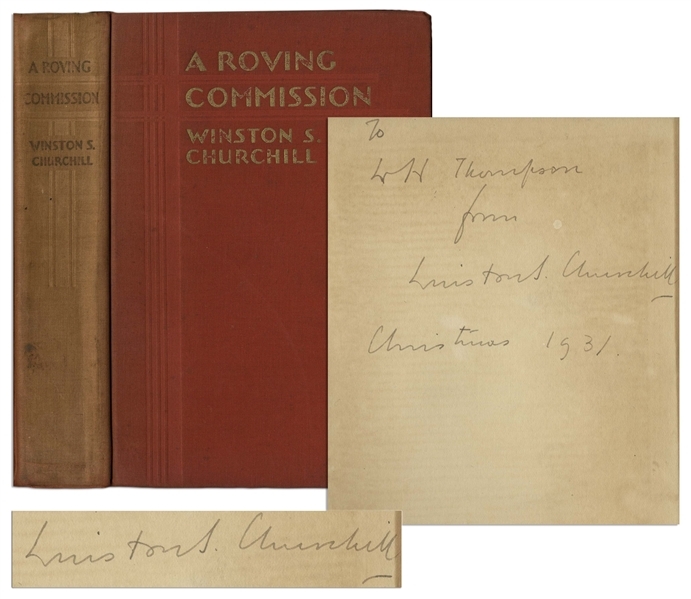 Winston Churchill signed first U.S. edition of ''A Roving Commission, My Early Life''. 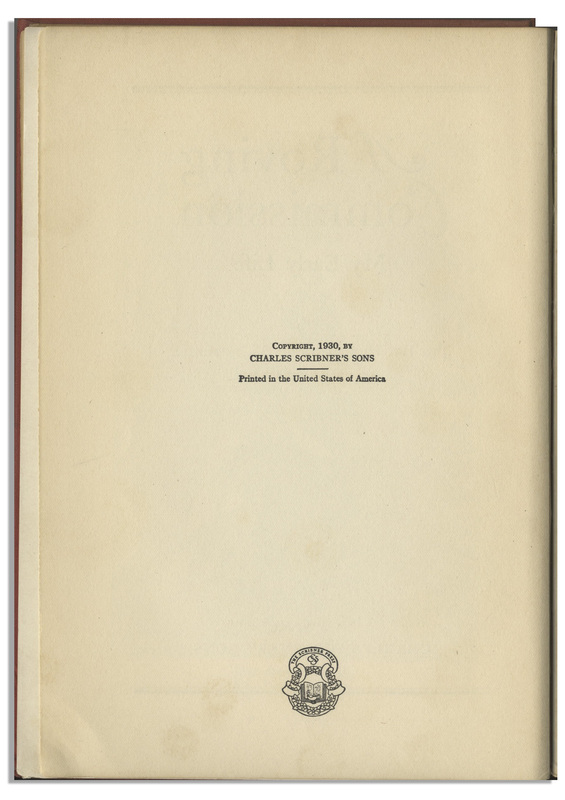 New York: Charles Scribner's Sons, 1930. Churchill's very popular autobiography describes, among other events, his capture and daring escape during the Second Boer War, which made him a household name and launched his political career. 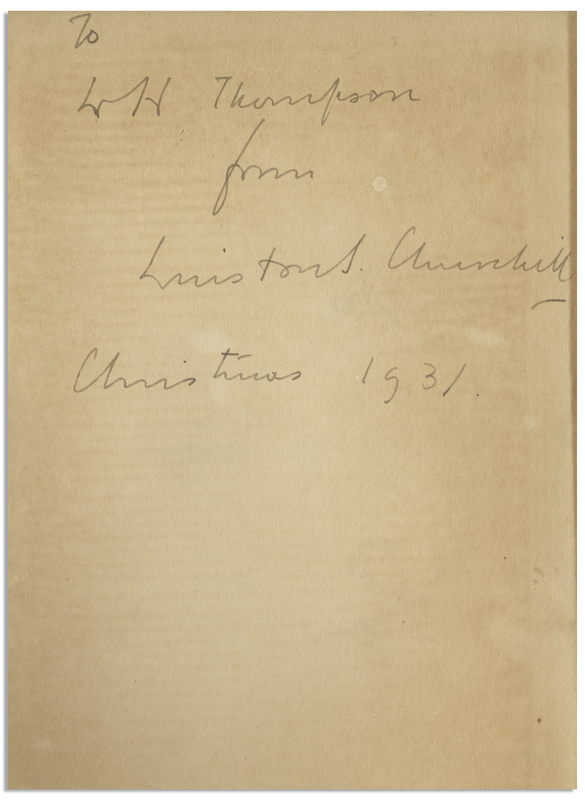 The front free endpaper bears the future Prime Minister's autograph inscription, ''To WH Thompson / from / Winston S. Churchill / Christmas 1931''. 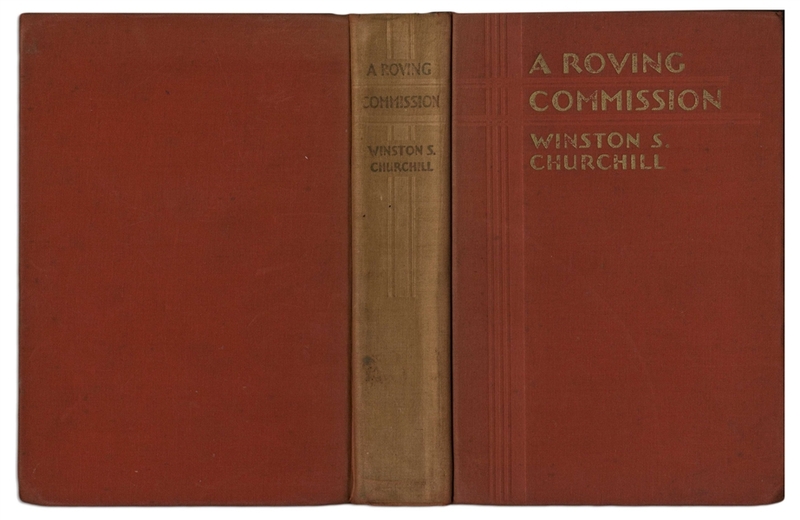 Bound in red cloth boards with gilt lettering. Measures 5.75'' x 8.25'' and runs 377pp. Heavy sunning to backstrip, some toning to endpapers and separation starting at joints, more so to front joint, and with detached frontispiece portrait. Overall good to very good condition.